This is the largest list of blogging tools. Which you can refer (hint: bookmark it! ), and find new tools to enhance your blogging experience as well as the experience of your readers! This largest list of blogging tools consists of resources for all types of bloggers whether professional, part-time or personal. I have structured them into various sections, allowing you to evaluate and choose the right tool for the right purpose. If the list of available tools is long, every tool is useful in its own way. I also offer a one-line comment for each tool as a quick but helpful reference. 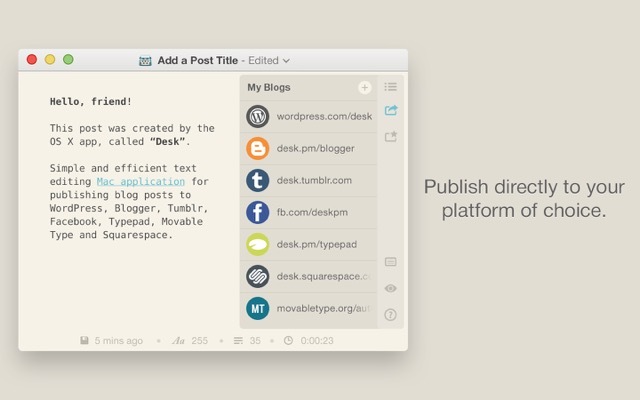 Blog: Desktop publishing tool for Mac that supports WordPress. 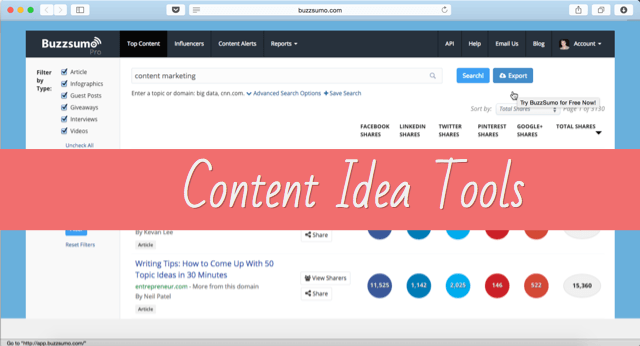 BuzzSumo: Enter a website or a topic to find the most shared and engaging content. Hemingway App: The Free web-based tool to improve your writing. I’m sure you will end up bookmarking this one. Flickr Advance search: Use Flickr Advance search to find images with a creative common license. Google Plus Hangout: This is one free tool that is underused by bloggers. Use it to co-host a webinar or run a Q&A session with your readers. Streams & records everything on your YouTube channel too. 99designs: Crowd-sourcing websites for your web-design needs. Cheap, but high quality. Contentment: Need a content writer? This job board is the right place to find an authentic writer. You will find the best of the writers here. Truelancer: An Indian startup which is going places. You will be able to hire great talent at the nominal cost. Rescuetime: Sends you weekly stats (configurable) of which site you spent the most time on during the previous week. A good idea to start taking note of your counter-productive activity and save your precious time. Install, configure and it runs in the background. Self-control: App for Mac which lets you block access to certain sites. Try blocking Facebook, and notice how your productivity increases. Google Keyword Planner: Free and easy-to-use keyword research tool. KWfinder: I discovered this tool while doing research for this post. Guess what? I have fallen in love with it. I will share a detailed review soon, but for now, you should bookmark and try it. The free plan lets you make 5 searches in 24 hours, which is pretty neat. 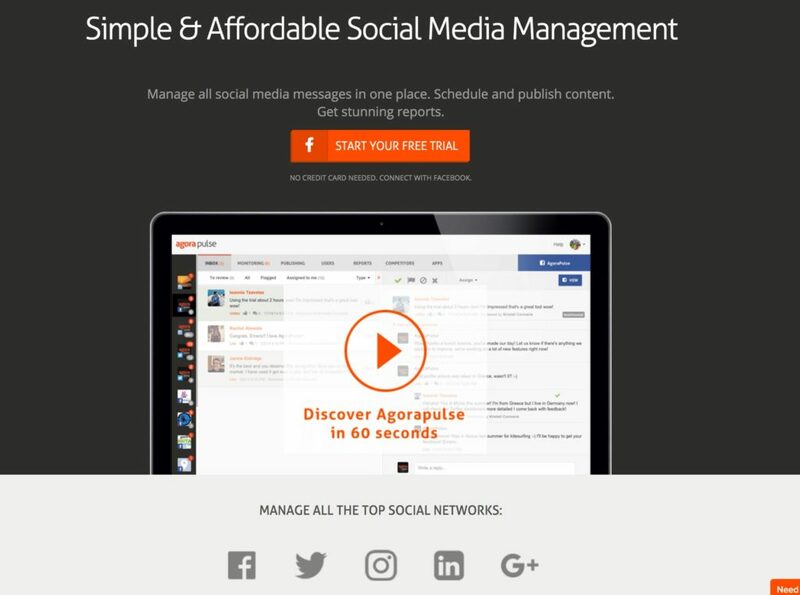 AgoraPulse: One of the best social media management tool of 2018. Do try their mobile app and you will thank me later. ClickToTweet: Create a single link to the tweet. You can use it within your blog post to increase your number of tweets. Canva: The most talked about social media image tool. Offers images of various sizes based on specific social media platforms. Pictochart: Infographic is the most shared content type on social media, and Pictochart is the best free Infographic tool available right now. ButtonFactory: Create call-to-action buttons, and download them to use on your blog. Useful for increasing CTR. Pablo: This free web app is by Buffer. Lets you add text over images and share it on social media sites with a single click. Infolinks: In-text advertising solution which offers various ad formats. Propellerheads: A good alternative to Google AdSense with a lower minimum payout. ClickBank: A popular affiliate marketplace for bloggers in any niche. Many different affiliate products to promote. Getresponse: Another popular tool among bloggers & internet marketers. Offers Webinars support & 30 days free trial without the credit card. OptimizePress: Offers WordPress plugins and themes. You can use either to create a landing page on your blog. Also a great solution for creating the membership for your WordPress site. Bluehost: Recommended as the #1 hosting service by the official WordPress.org hosting resource page. Cheap and affordable shared hosting with one free domain name. Flipboard: Create your own magazines and curate articles from the web or from your own site. 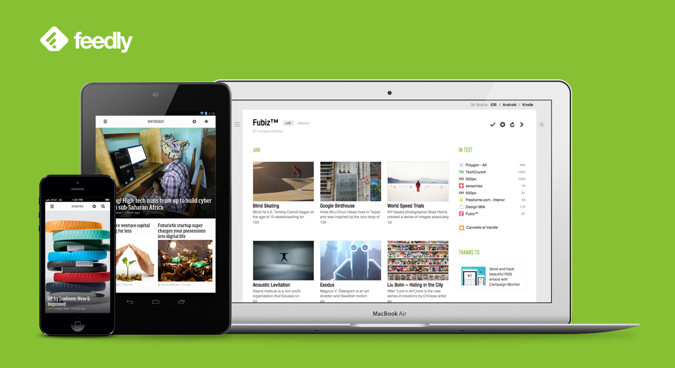 Your creation combined with Flipboard can drive targeted traffic. You can use their bookmarklet to add content to your magazine or use their mobile app. Wisestamp: Add visually appealing signatures after your email. Use Wisestamp RSS addon and show your latest blog post in every email. A clever technique to market your latest post. I use it to gain subscribers to my social channels. This is an add-on for browsers. PushEngage: Enables web-push notifications for your blog. A new and innovative way to let users subscribe to your blog updates. Used to be free but now it’s paid.